Whenever we fly an approach into KVNY we come over the tower and make the main portion of our descent over taxiway "A" and then side-step it onto our ramp. And every time there is an airplane taxiing on "Alpha" the tower tells us to not overfly the taxiing airplane. But most of the time we're still 300ft AGL or higher AND not flying over the parallel taxiway means we need to fly over the ramp (can't off-set to the other side cause of the runway) where there are tons of planes parked....way more than that one single plane taxiing in or out. My question is: Is there a law for ATC where the can't have a helicopter hover taxi on top of a stuck wing plane on a taxiway? A law that doesn't say anything about parked plane on the apron? I'm not sure, I'll dig into the books this afternoon and see what I can find. So what I've found is pretty much nothing. In the .65 chapter three deals with all there is to know about ATC - Terminal (tower stuff), and a whole section is dedicated to 'ground movement' but most of it seems to deal with how to tell people to taxi without killing themselves. I think this just falls into the common sense file, dont put two aircraft with people in them together. Aircraft that do not have a clearance (taxi or otherwise), in our minds eye, dont exist, so therefore they are not a factor in our clearance. 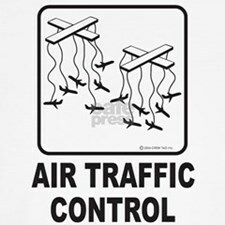 I could be wrong as I dont deal with tower stuff, but this is my best guess based on how we view the ATC world through centers eyes. I am not sure what they do with the thong in the bottom right corner. Ugh i miss flying in IVAO! too bad my lousy ISP f*cks up with the internet! 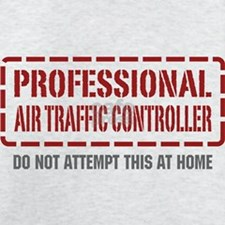 What ATC's do during their shift. 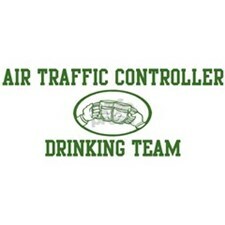 What ATC's do AFTER their shift. 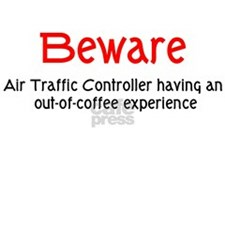 It is not good AIRMANSHIP to overfly an aircraft at low level. Your Downwas can actually damage the other aircraft. I'd sidestep to the grass between the taxiway and the ramp, thus avoiding to fly directly overhead the aiplane, and any others on the ramp. At HAI in Concord (many years ago, just after Gordy left I believe), we had to surface taxi the last few feet to the parking spot (if we had enough experience) to avoid the downwas causing exessive flapping on machines starting up and shutting down. Well, you kind of proved my point that there is a little misconception about downwash, Winnie. Now, if I was hovertaxiing down the taxiway, I would cause all kinds of havoc so we shoot our approach almost right to the spot. Well, I don't fly helicopters - only fixed wings so far - but there usually are helos landing and taking off at the local airport (SBUL). I once was taxing with a small piston plane, right behind an A320. Then the tower told both of us to hold position, while an AS-350 maneuvered to land, while also telling its pilot to avoid flying over aircraft and buildings. This time, the spot where the helo landed didn't require it to fly over us. But there is a Robinson R-44, based at the airport, that flies almost every day. Its parking spot is a maintenance hangar, which is right beside one of the main taxiways, which in turn is parallel to the runway. But everytime it takes off and lands, it flys directly over the taxiway and the runway, crossing both - and well below 300 ft AGL. Actually, the tower once happened to clear it for landing right after clearing another aircraft to land at the runway, even though it landed well ahead of the acft. It is all about timing. Basically it is not good practice to fly low over another aircraft, but you can fly behind or ahead of it. As for the 300 feet thing---that is pretty much my upper limit...scared of heights ya know. cool! Dave actually lets them sleep inside now! !